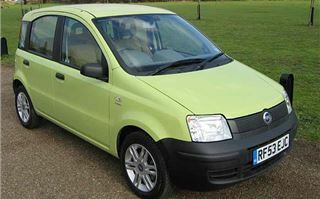 The new FIAT Panda is cheap. It’s cheerful. And it’s European Car of the Year 2004. The first thing that strikes you is its cuteness. It’s smaller and sweeter than it looks in pictures. You instantly want to like it. Get inside and the central knobs and switches panel is simply the best in any car at any price. It’s a model of clarity and every single button falls instantly to hand. So does the neat little dash mounted gear lever. 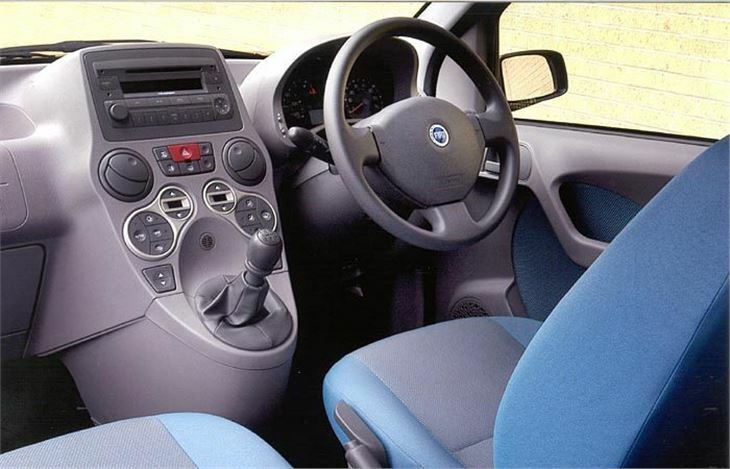 The steering wheel is height-adjustable, but the rim is too thick. Smaller women with small hands are not going to like that at all. There are airbags for driver and passenger, and the passenger’s can be easily switched off. Front windows are electric. Door mirrors are manual, tiny and don’t have enough range of adjustment. Interior plastics look very basic, yet also thick and strong. There’s masses of headroom in the back and three can sit comfortably across the back seat, but there are only seatbelts for two and I didn’t like the sharp exposed front seat runners that look like they could do a lot of damage to people’s feet in an accident. 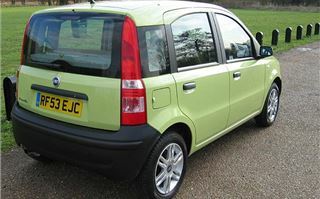 Annoyingly, you need the key to open the back hatch and in the basic Pistachio Panda Active 1.1 version I was driving, the rear backrest folds down but that’s it. 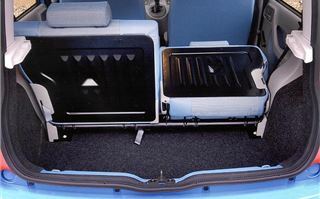 Even in upmarket versions, only the backrests flop down 50/50, so if you want more luggage space you have to unbolt the seat entirely and leave it at home. With the seats up there is more luggage space than in the KIA Picanto. 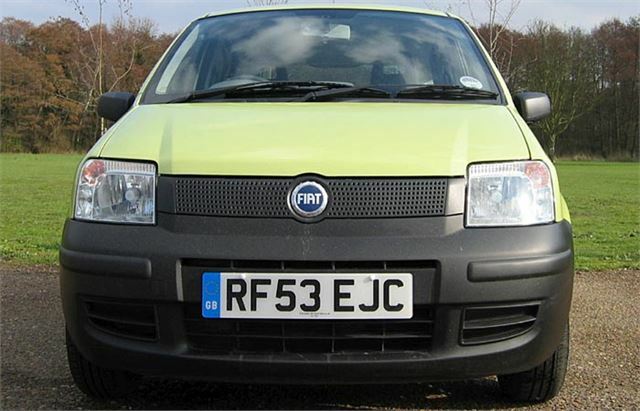 To drive, there’s a bit of deadness in the steering, but it handles well enough, rides decently and there’s a lot less road noise than from a Punto. 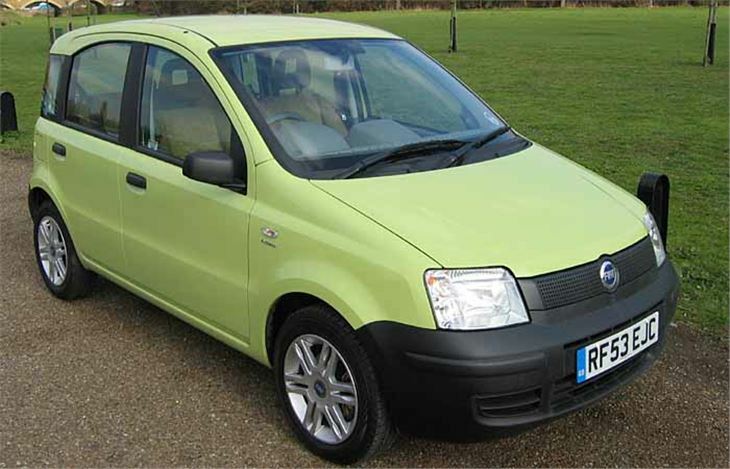 Sure, you have to turn the radio up on the motorway, but for a basic 53bhp 1.1 litre car it’s surprisingly refined; much better than a Punto, though not quite as good as the KIA Picanto. FIAT states a top speed of 93mph, but in my experience either the speedo was extremely optimisitic or FIAT has been extremely pessimistic. The car actually seems to become smoother and quieter the faster you drive it. And, once you get used to the tall, narrow body, you can have a lot of fun with it too. The driver of a Porsche Boxster was very surprised to find a Pistachio Panda on his tail around one well-known quick corner. 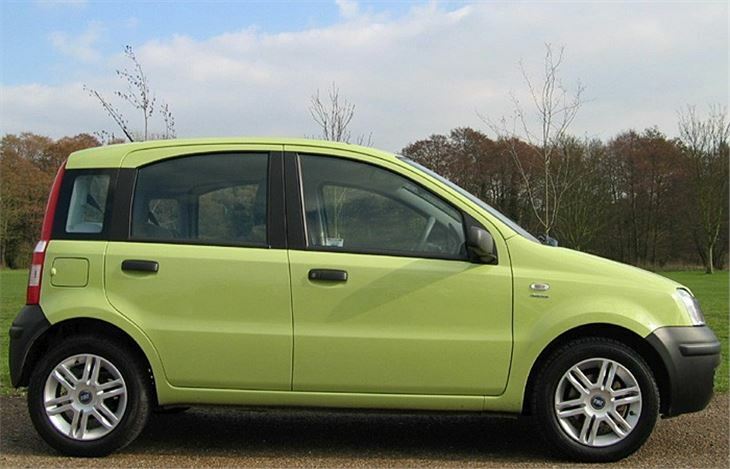 There’s something hugely fun to be had from getting the most out of a small, underpowered car. Though the gearbox is standard FIAT, the gearchange and the handiness of the high gearlever is fantastic, almost reminiscent of old 105 Series Alfas. It brings out the Italian in you. I reckon that FIAT has cracked the nut that no one else quite managed to since BMC came up with the original Mini. A cheap, basic car that puts a smile on your face. Pulling out of my parking space at Blackbushe auctions I spotted the proof. 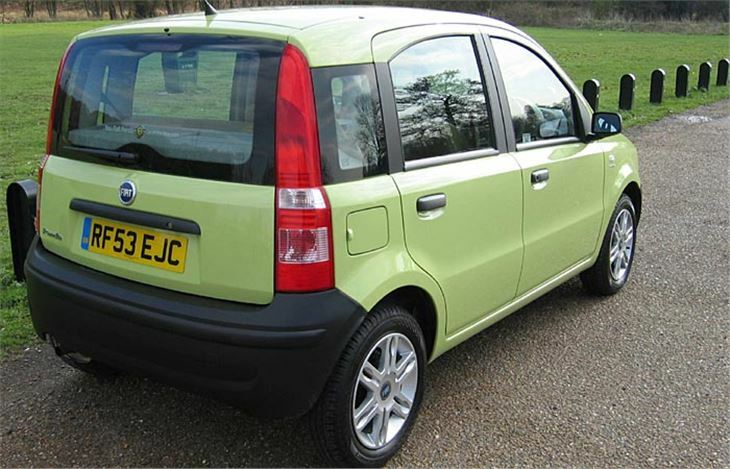 A bunch of hard-nosed traders grinning and pointing at the little green car. If it made them as happy as I was it has to be okay.